A work which we have contributed to is the translation of the commentary on the primers text in belief taught in Hijaz, Hadramawt and South East Asia, namely the Aqidah al-Awam. The commentary is written by Shaykh Muhammad Ihya Ulum al-Din based on the lessons of Sayyid Muhammad bin Alawi al-Maliki. 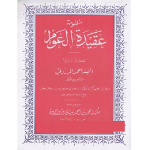 It still puzzles me why larger more complex works on aqidah have been translated, but this basic work taught in numerous institutions of traditional Sunni learning has not attracted the attention of translators beyond the translation of the poem itself (a translation of which has been undertaken by a couple of scholars including Shaykh Ilyas Patel of the UK and Shaykh Mostafa Azzam of Canada in a slightly adapted form). We started the serialised translation of the poem on this site some years back and the project was picked up by Shaykh Rami Nsour of the Tayba Foundation in the USA. The text is currently being typeset and needs tidying up before Shaykh Rami decides how it should be distributed. Please pray for the tawfiq and successful completion of this project and other projects such as the Bayquniyyah work mentioned on this site which is nearly complete. Please find below a sample of the Table of Contents page.